Aircraft graphics and animations including prop, jets and helicopters. Pages include current and past airplanes plus helicopters such as Apache, V-22 Osprey, B-1 Lancer, B-2 Spirit, B-52 Stratofortress, C-17 Globemaster, FJ-3M-Fury, F-104A Starfighter, F-35 Lightning, F-22 Raptor, balloons and clipart of space shuttles. U.S. Navy North American FJ-3M Fury - JPEG 296 x 103 pixels. Cartoon plane animation with pilot - 169 x 130 pixels - GIF. AH-64 Apache Helicopter in flight - 514 x 179 pixels - JPEG. Animated single engine plane flying. 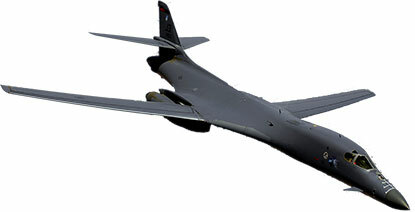 Rockwell B-1 Lancer - 415 x 212 pixels - JPEG. Helicopter Animation green - 200 x 180 pixels - GIF. Northrop Grumman B-2 Spirit Stealth Bomber - 414 x 69 pixels - JPEG. Bell Boeing V-22 Osprey animated - 151 x 115 pixels - GIF. Commercial jet in a steep climb. Hot air balloon white and red animation - 61 x 99 pixels - GIF. Boeing E-3 Sentry (AWACS) 432 x 135 pixels - GIF. 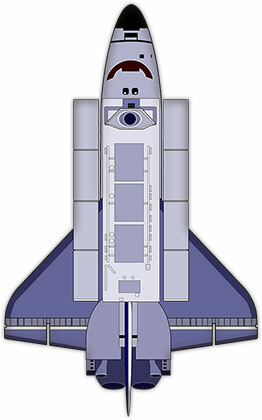 Space shuttle with bay open. WWII Bomber - 160 x 65 pixels - GIF. Boeing C-17 Globemaster III in flight - 507 x 158 pixels - GIF. Animated Helicopter - 310 x 77 pixels - GIF.